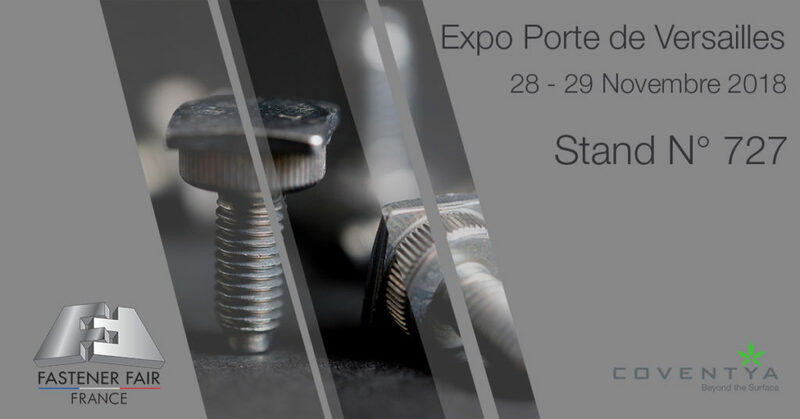 FASTENER FAIR – a Part of the FASTENER FAIR worldwide exhibitions movement and Europe’s leading international trade show dedicated exclusively to fastener and fixing technology will be taking place in France for the first time! The exhibition is aimed primarily at industrial stakeholders that require assembly and installation systems, fastener-manufacturing technologies, plant and storage equipment, and associated services. And, given that the shipments of industrial fasteners from France totaled $1.7 billion in 2015, making the country the third largest fastener producer in Europe after Germany and Italy,* it is sure to say it will be The Event of the year for the surface treatment industry! *according to the freedonia group, national institute of statistics and economic studies (INSEE), direction générale des entreprises (DGE).